Cheryl commenced her career as an Assurance Associate with PricewaterhouseCoopers. She subsequently joined the Real Estate Investments industry, specializing in acquisitions and divestments. 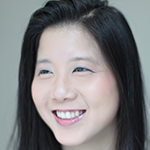 Her corporate experiences include Wheelock Properties Singapore as well as the property management arm of the OCBC Group. In her day job, Cheryl heads Business Development division at equity and debt crowdfunding platform, FundedHere. Cheryl is also Advisor of the Young Women’s Leadership Connection (YWLC), a local platform connecting young women leaders with opportunities in mentorship and leadership development, networking and community engagement. She initiated its flagship community project 100 Wishes, a workshop and activity series to improve the well-being of women and children at local women’s shelters. Cheryl lends a hand in programme development at Jia Foundation, a family foundation established in 2013 and she’s also a mentor in the Youth Corps Singapore Leadership Program. She graduated from the Nanyang Business School, Nanyang Technological University (NTU) with a Bachelor of Accountancy (Honours), with a second specialization in Business Law.